Our project has two main goals. On one hand to transform the existing market hall into a vibrant and dynamic public space. 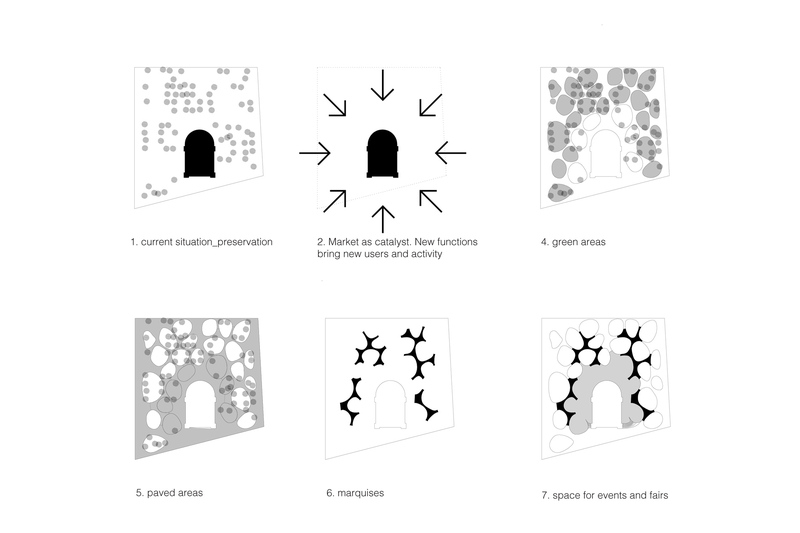 On the other hand to redesign the decayed surrounding public space. 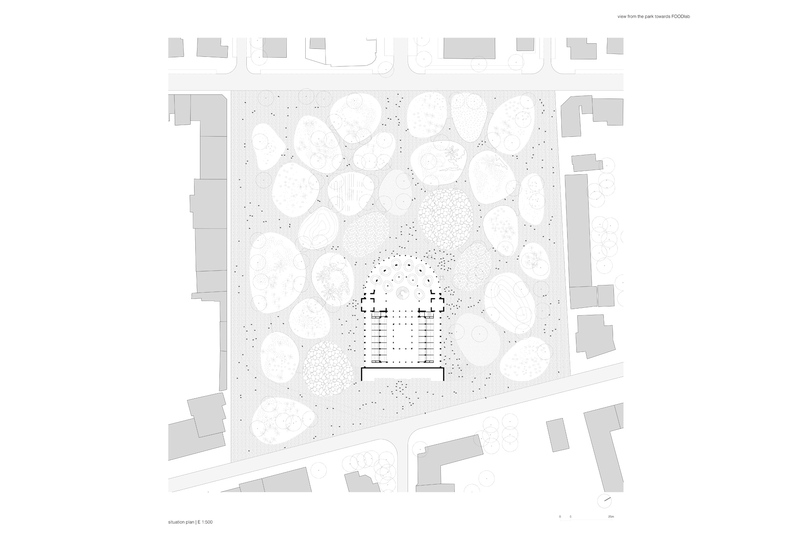 In order to do so, we propose a new multifunctional square with gardens and recreational areas. 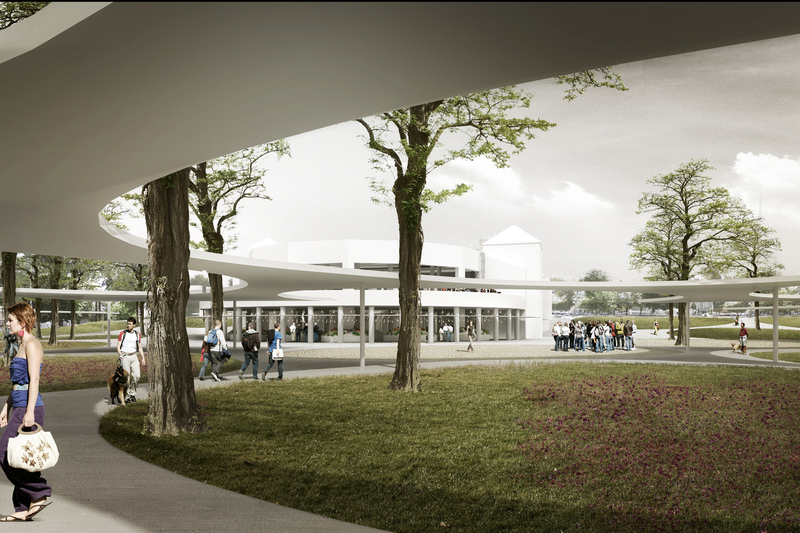 This new public space will also host fairs, events or gastronomical activities. In the centre of the square a new programmed market hall will contribute to the new liveliness of the area. 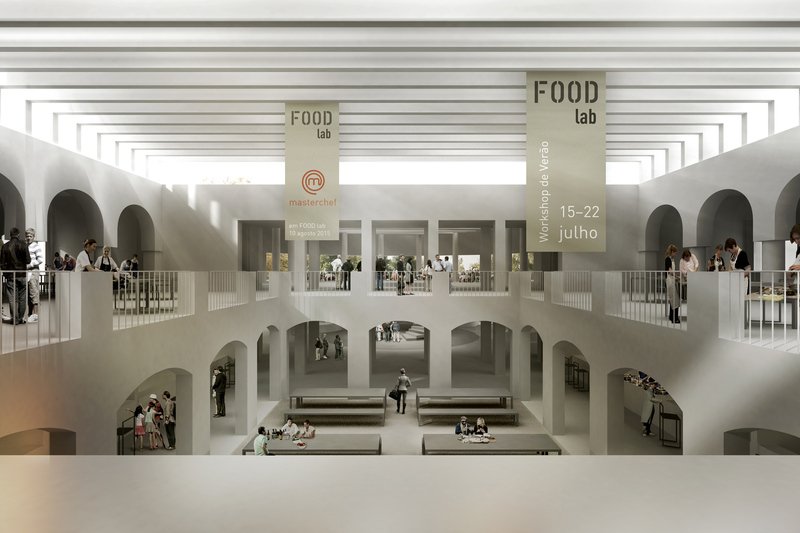 The new FOOD lab | Food represents a big cultural heritage for Portugal. Food is not only needed but also a link to traditions. We as human beings are continuously confronting our selves with tradition and modernity and we do not always find a way for both to coexist. A good example of this we can see in the degradation of Santo Tirso market. We have changed the way we buy and the way we eat. Therefore a traditional market does not work anymore. It needs to be related to the way we operate nowadays. It should offer more activities, longer opening hours, diversity and the new functions should support each other. 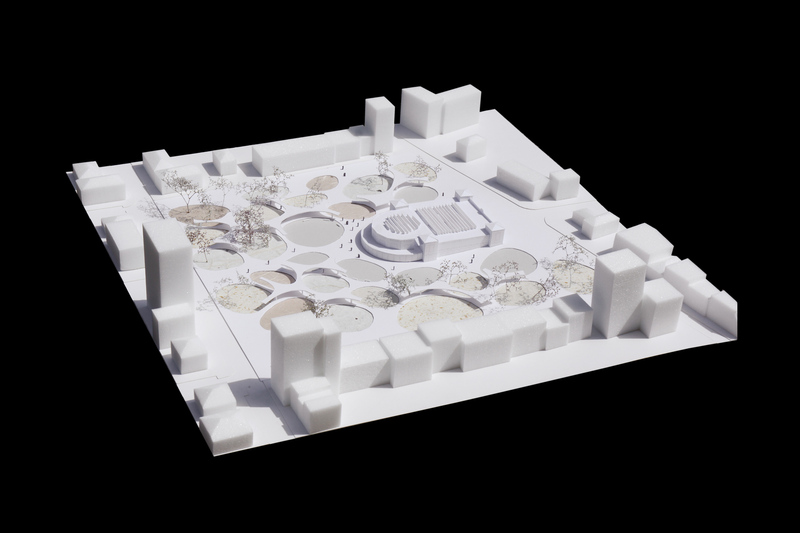 We propose a FOOD lab, a new place where food is central. 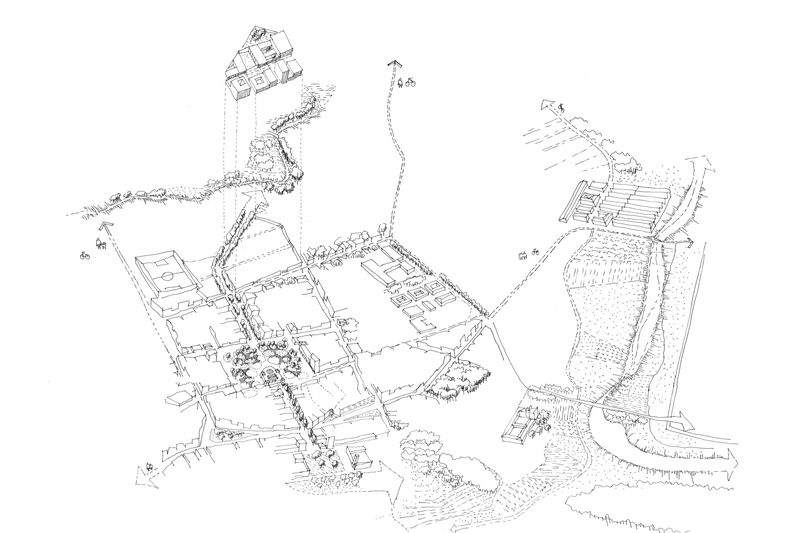 A place to eat, to buy, to learn, to sleep and all this new experiences in relation to food. 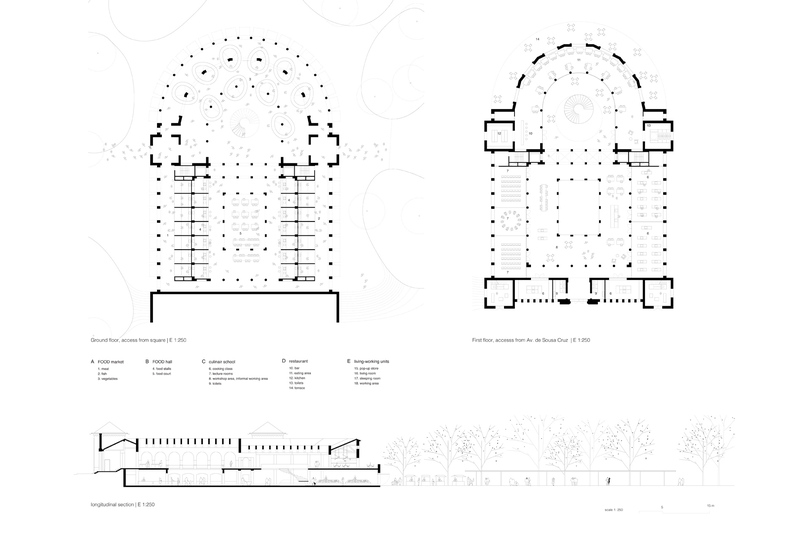 Program: New public square and conversion of existing market hall into a FOOD lab containing a market, food court area, workshop areas, multifunctional spaces, cafe, restaurant, cooking school and cooks-in residence units.